We’re proud to offer our customers BimmerTech’s unique range of top-of-the-line BMW retrofits. Whether you want advanced multimedia capabilities, greater convenience or improved audio quality, BimmerTech has a tried and tested upgrade tailor-made for your needs. Each has been designed specifically for BMWs, for seamless integration in your car. Installation of almost all BimmerTech Products is 100% reversible, making them ideal for leased vehicles and those under warranty. Park like a pro, thanks to BimmerTech’s range of market-leading backup camera kits. High-quality camera image displayed on the factory iDrive screen for maximum convenience. 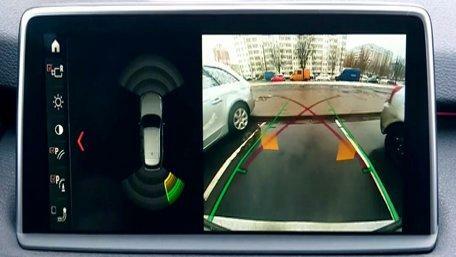 Automatic camera activation when shifting into reverse makes parking up easy. Protect your BMW’s front lip with BimmerTech’s fully integrated Front View Camera. Seamless integration means the camera image is displayed on the factory iDrive screen. The tiny camera unit is designed to fit discreetly into your car’s front grill. Camera can be activated manually, or automatically when shifting from reverse into drive. Bring all your favorite smartphone apps onto the iDrive screen, with wireless mirroring for iOS and Android. Improved navigation with Google Maps or Waze, and limitless entertainment options. Mobile device display is mirrored with minimal lag at up to Full HD. Support for both Miracast and AirPlay means compatibility with all your mobile devices. Complete support for iOS, Android and other devices. Get in your car, drive to your destination and lock the doors as you leave without ever touching the key. A remote sensor recognizes your key and unlocks your doors automatically as you approach. Doors can be locked by simply touching the handle after you’ve got out of your car. Custom color options to match your BMW’s factory paintwork perfectly. A motorized system to close your BMW’s doors easily, quietly and securely, every time. The Soft Close system pulls the door shut when it’s pushed to within 6mm of the lock. No need to slam the door! Perfect for tight parking spaces or late at night. Automatic operation ensures your doors are always closed properly. Make loading and unloading your BMW a breeze. Open and close the trunk lid at the touch of a button. Motorized trunk operation with the key fob, trunk release buttons in your car or Comfort Access system. Opens and closes the trunk smoothly and safely, with minimal effort. Anti-pinch technology stops the trunk closing in the event of an obstruction. 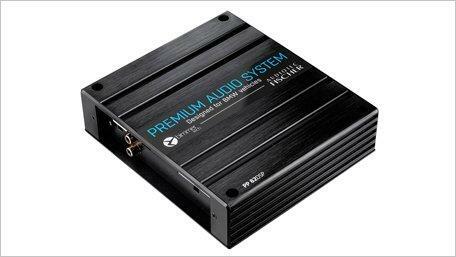 Improve your BMW’s stereo with more power, clarity and customizable performance. Drastically improves the factory speakers and gives the power to make the most of a retrofit system. Powerful DSP software and a 30-band graphic EQ allows for complete customization. Specifically optimized for BMW’s for optimum performance in your vehicle. Keep your older generation iDrive up-to-date with a replacement screen that matches the latest models. Improved screen resolution and contrast for a crisp viewing experience. An 8.8” screen with up to seven times as many pixels as the factory CCC iDrive display. Adds greater compatibility with BimmerTech’s range of advanced retrofits. Enjoy the full OEM Bluetooth capabilities of your BMW such as Bluetooth audio (A2DP), Office, album art covers and more. Entering or leaving the tightest parking space can be much easier. An acoustic warning signal lets you know how close you are to the car or object behind you.